A couple super simple recipes/tutorials for you today, by request! Delicious, easy, good for ya, and cheaper than buying processed. 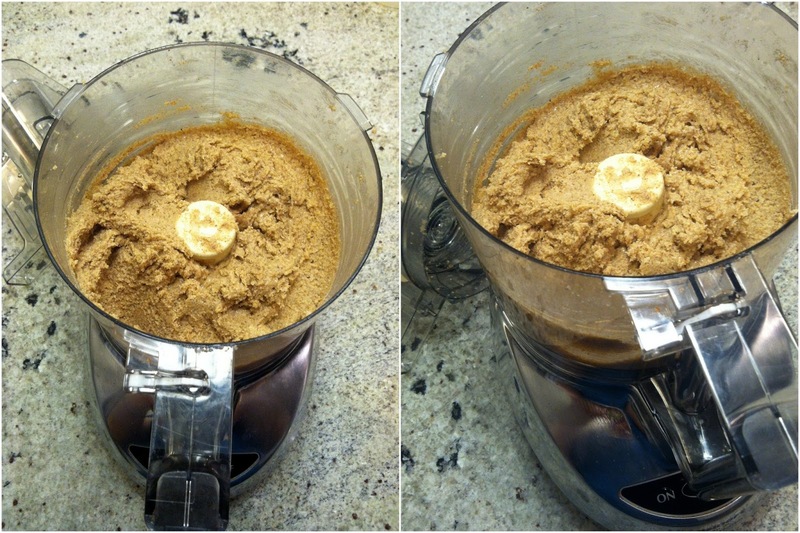 I love making my own raw almond butter and almond meal, at home in the Cuisinart. I Instagrammed this shot of my last batch of raw almond butter, and have mentioned it before on Twitter, and some of you requested the recipe! 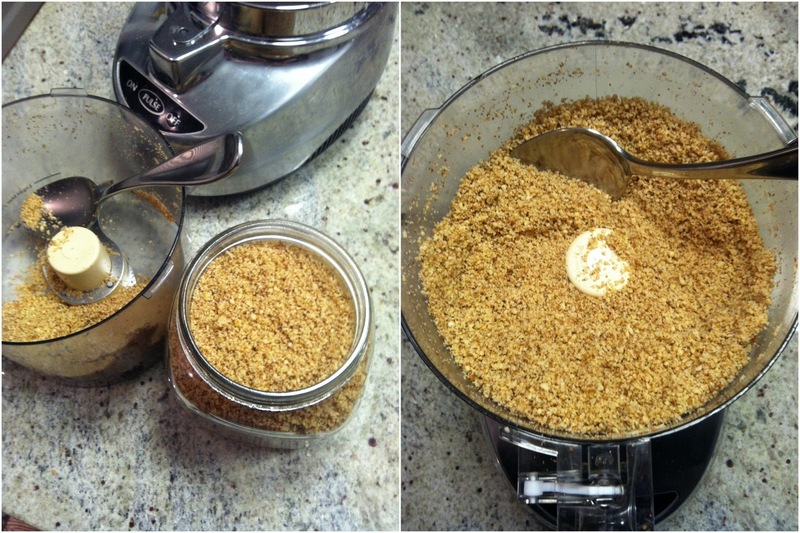 When you grind up almonds in a food processor, the first stage (after chopped almonds) is almond meal. Homemade almond flour/almond meal is super easy and awesome! (Very useful in grain/gluten-free recipes and Paleo recipes, like this amazing Paleo meatloaf or lots of different baked goods!) Storebought almond flour is expensive but also can be rancid. The oils in the almonds oxidize when they're exposed to all the air and light the bags and bulk bins give them, so even the basic Bob's Red Mill isn't great unless it's super fresh. You'll want to store your almond meal (homemade or storebought) in the freezer or fridge, too, again to keep it from going rancid. Put 1-2 cups of almonds in your food processor. You don't want to fill it too full or the bottom parts will grind more than the top. 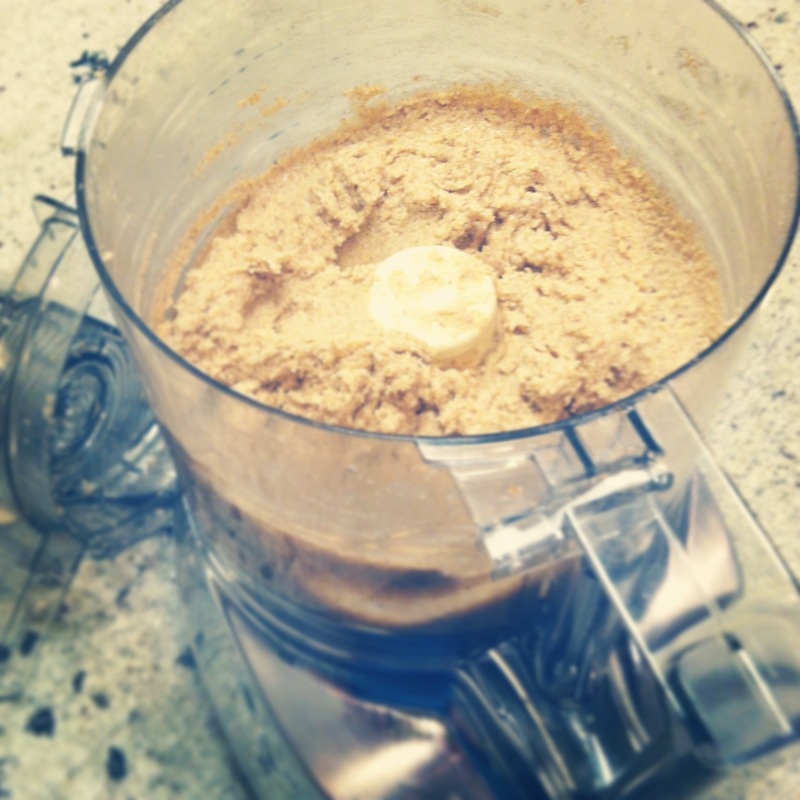 Pulse in food processor until the almonds are a mealy/course flour texture. Put in container, freeze! Use like you would any GF flour. Pulse the 1-2 cups of almonds in the food processor. Add the coconut oil and salt. Blend more! It should be a creamier texture. If you want it smoother, add more coconut oil. Store in the fridge for ages and ages. I actually don't know how long it keeps because we eat it almost every day and go through it pretty fast. That's it! 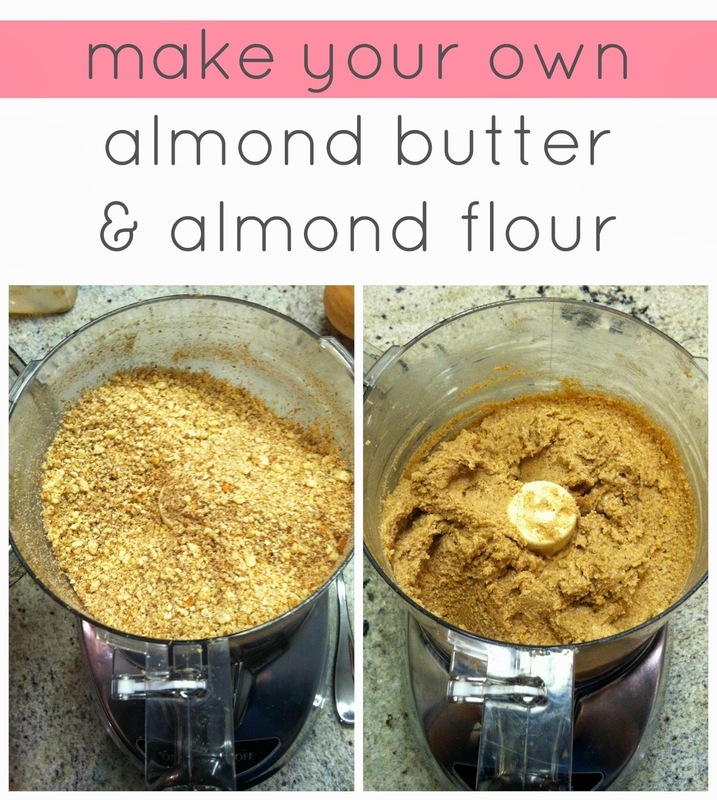 Super easy DIY raw almond foods that are cheap and tasty and healthy. *We eat a mostly Paleo-friendly diet, as shared here, but occasionally eat some peanuts (legumes, not nuts). I also love raw cashews (bought in bulk at Winco also, they've been super cheap this year!) but can get a tummy ache if I eat too many. **Fun fact: raw cashews are actually lower in fat than raw almonds, but cashews are so often roasted in unhealthy processed oils and salted so they end up with more fat than your basic salted almond. But the fat from raw nuts is pretty good for you, so it doesn't really matter as long as they're not processed. I've been interested in using almond flour for a bit, but I didn't want to buy a huge bag for one recipe. Now, I can just make the right amount and see if I like it! Thanks! Sure, we have this one! https://www.amazon.com/dp/B001413A0Q/ref=as_li_ss_til?tag=adrada-20&camp=0&creative=0&linkCode=as4&creativeASIN=B001413A0Q&adid=0J8WYDZXV7QJ246CHC7E& It's perfect for what we need and a good price. Looks tasty!! We once used almond meal like a little hot cereal and added thick coconut milk to it, with some nuts, salt, cinnamon, on top--also kind of like fake oatmeal! Would be great with berries when they're in season here! reliable of all the tορpings woulԁ not bе burnt. - Centre tunnel chimneу duct to maximiѕе succesѕful warm airflow. Sure, we have this one! https://www.amazon.com/dp/B001... It's perfect for what we need and a good price. Clearly you are also awesome at food and need to share more often!